This was the view from my hotel room in Sydney. Stunning, huh? 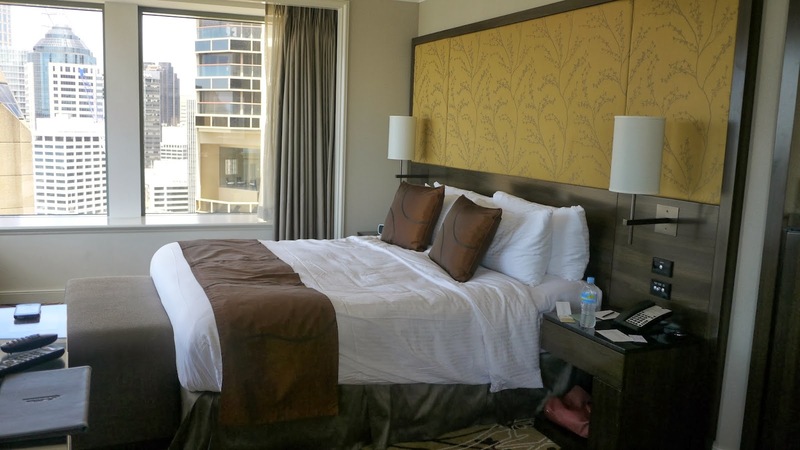 I've long been a fan of Shangri La hotels, I have many fantastic memories of visiting the Shangri La in Singapore right from when I was a young child, so when I had the chance to stay at the Shangri La in Sydney, I was thrilled. 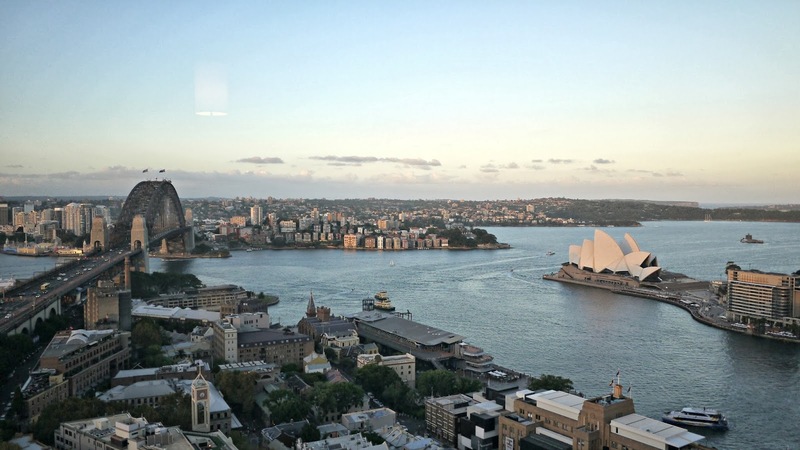 Having heard so many good things about the hotel 'with the best view in Sydney', I was expecting great things, and I wasn't disappointed...just look at the view! It doesn't get any better than that. My flight from Perth was an early morning one, so I arrived at 8am and with no sleep was absolutely exhausted. 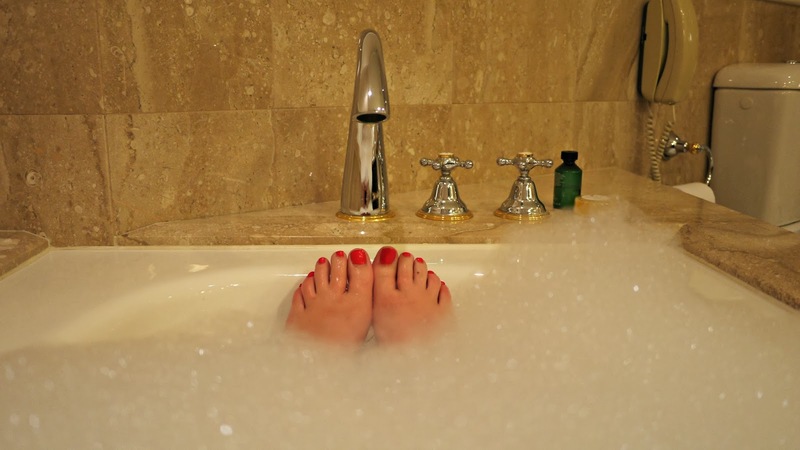 My room wasn't ready until 1pm, but the hotel kindly let me use their spa to get showered and just relax while I waited; I spent a lovely time in the sauna before leisurely making my way up to have a tour of the hotel and get some lunch in one of the hotel cafes. The hotel is certainly impressive; beautiful in aesthetics it has a mix of traditional Asian features such as the dark woods and art work, combined with modern luxury. The facilities are vast, with the luxurious and peaceful CHI Spa, three restaurants and bars including the award-winning Altitude restaurant, which has uninterrupted views over the Sydney Opera House and the harbour, and the Health Club which includes a lovely big swimming pool, and impressively huge modern gym. There's also the added extra of a sundeck - perfect for relaxing with a good book in the sunshine after a hard day's walking around the city. 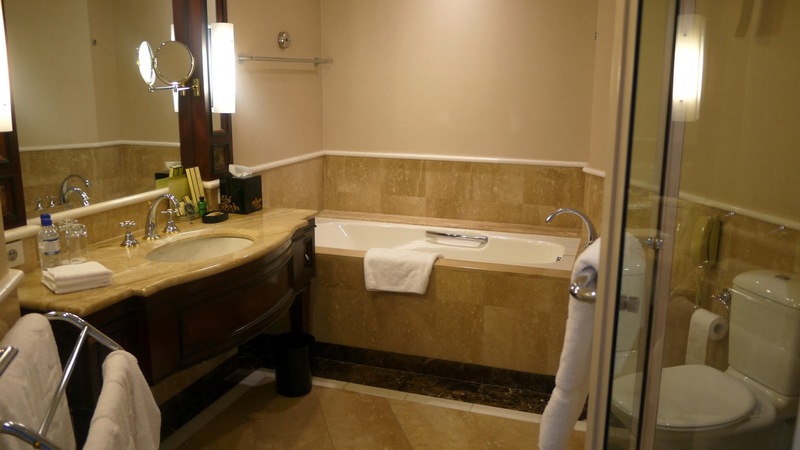 The configuration of the room gave me 645sft, which saw me enter through an entrance hall where there was the wardrobe (so I could store everything out of the way), down a hallway and with a humongous marble bathroom to my right, and the living room/bedroom straight ahead. The living room/bedroom configuration gives you a 'junior suite feel in a single-room layout', however I'm not sure it needs the sofa and two chairs when it's only a two-person room...it felt slightly too cluttered. It could probably do with just the sofa. One of the best things about the Shangri La is the free wifi throughout the hotel. 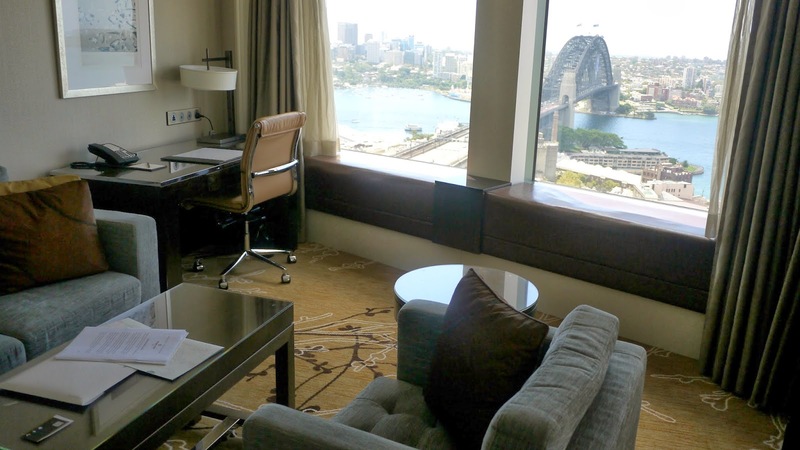 It's one of the only hotels in Sydney to offer free wifi, and so I made full use of it and caught up on all of my emails and a bit of blogging, whilst sat at the huge executive desk with a view straight to the Harbour Bridge on my right. After my late-afternoon meeting in the city I had a wander around the harbour and the opera house, before returning to my room to find a box of chocolates and bowl of fruit on my table - that was dinner sorted! It was so deep I actually floated. Bliss! One of the great things about Shangri La is the bath amenities, you get the usual shampoo/conditioner and body lotion and bath/shower wash, but you also get hairbands, and toothbrushes and toothpaste which comes in very handy when like me, you pack a couple of hours before your flight and forget to take your own! After my bath I snuggled up in my plush robe and slippers (I do love hotel slippers) in front of the TV, and before I knew it I was fast asleep, while the sun set over the city behind me. 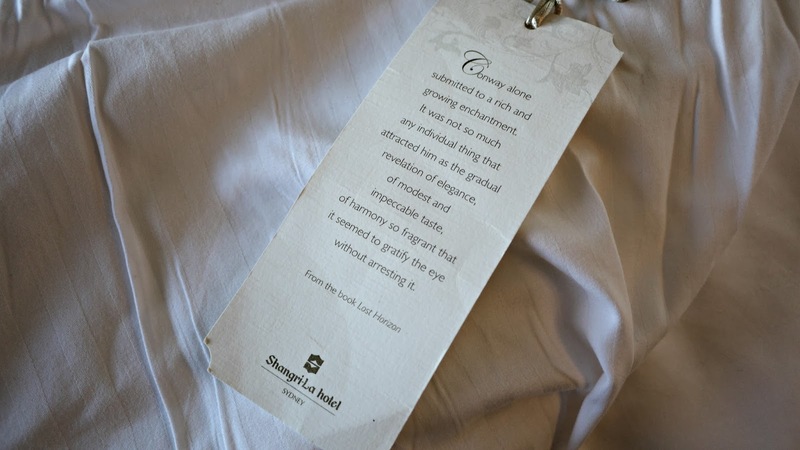 I awoke fully rested and ready to take on the day; the bed was insanely comfortable and I wish I could have taken the pillows home with me. 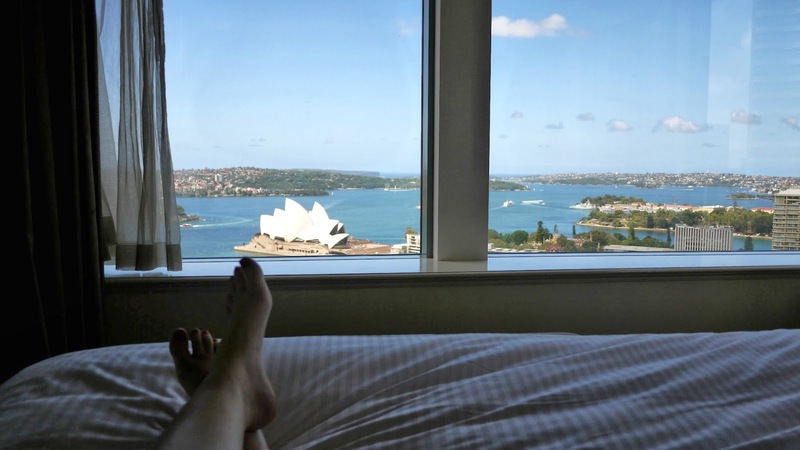 My stay at the Shangri La was absolutely lovely, it's such a beautiful hotel and the view from my room was absolutely the best in Sydney! 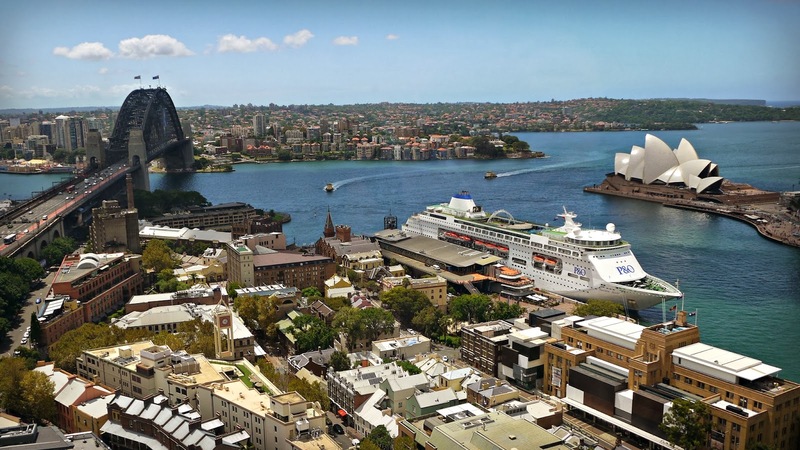 I'd definitely recommend a stay, but make sure you get a room as high up as possible and specify you want a room with a view of the Opera House or 'Grand Harbour', as some of the rooms face the opposite direction at 'Darling Harbour', or they just look out at buildings. Visit the website to find out more and book. 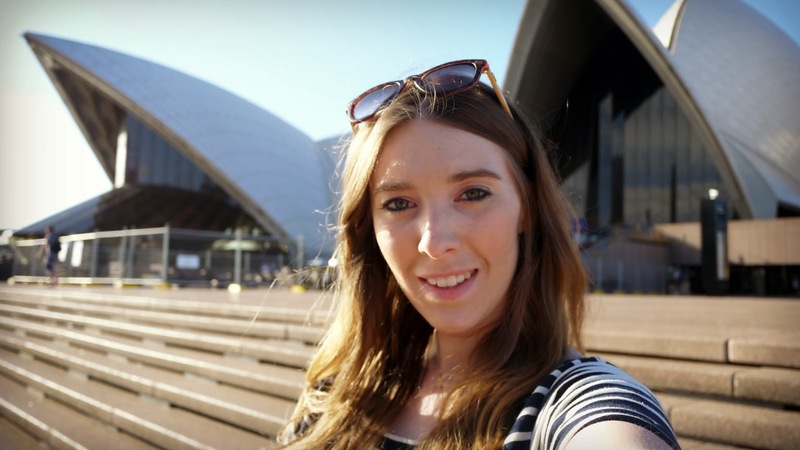 Stay tuned over the next couple of days to see what else I got up to in Sydney! *I received my room complimentary for review purposes. Despite it being complimentary this does not in any way influence my views, and everything I have said is my 100% honest opinion. I've also stayed here and your blog brings back happy memories! Altitude restaurant was incredible for dinner and the views are just amazing! I'm glad that you enjoyed it to! It's just such a beautiful hotel isn't it! Sadly I didn't have the opportunity to eat at Altitude, in fact I barely ate in Sydney, I had some pretty big interviews over there so was insanely nervous the whole time.